This year for my New Year Resolution I have chosen to take good care of my health. As this is a huge topic I am breaking it down into 12 chunks and focusing at one area per month across the whole year. I am using a 5 step process to embed habits in each of the areas on a monthly basis. This year my New Year Resolution is to take good care of my health. This is a massive topic and I want to ensure that I set myself up for success. In order to do this I am splitting the resolution into 12 parts and will focus on one part each month. By breaking this goal down, it allows me to manage it in bite size pieces. My plan is to explore one topic in detail each month and to identify and implement the habits that I decide are important to me, giving myself a full month to make them stick before moving onto the next one. This approach worked for me when I was trying to make positive environmental changes and so I’m using it again. I believe that to be successful in this resolution, I need to break it down in enough detail that I know exactly what I am trying to achieve and how I am going to do it. The focus for January is limiting my intake of alcohol. Last year I carried out Dry January and the benefits were unbelievable. I hoped that by having no alcohol in January, it would change my habits across the whole year. This did happen for a while, but a few months later my old habits returned and Dry January was a distant memory. I have an all or nothing personality. I find moderation difficult, so I know that for me, going cold turkey is an easier option than moderation. Gretchen Rubin labels this as being an ‘Abstainer‘. Someone who finds it easier to go without completely, rather than cutting down (known as a moderator). This year, I am doing dry January again, but I need to work out how I make the change more permanent this time and get the rewards across the whole year, not just in January. I considered giving up alcohol all together, but I decided that this is not something I am committed to do. Instead I identified what it was that I did want and what I was trying to achieve. Analysing what I wanted to achieve was a great help in deciding exactly how to tackle the goal. Based on the desires I have identified above, I needed to define what this meant for how I would tackle this challenge in a way that would allow me to achieve my objectives. Minimum criteria: 5 no alcohol days a week. No shots. No going out with the sole intention to get drunk. Maximum 2 small glasses of wine with dinner. Allow myself a big night out with none of these rules once a month. Maximum criteria: No alcohol. If I am not achieving the minimum criteria the adjustment I will make is to do another dry month to get me back on track, as I know this is something that works for me. You might be reading this thinking, wow, this is crazy amounts of detail and rules, surely you could just say ‘cut down on alcohol drunk’ in a week. The thing for me is, I know what will work and what won’t and I need to have defined a set of criteria to ensure that I can stick to the challenge I have set for myself. The more specific you are the easier it can be to achieve. If you are very vague in what you are trying to do (i.e drink less alcohol) it can make it much harder to be successful at that habit. To give myself the best chance of success I don’t want to leave it to fate, so another tip I got from Tony Stubblebine, the CEO of CoachMe is to create a WHEN/THEN list. This is to anticipate that you won’t always be faced with your ideal day, often things will present themselves which mean you are challenged to meet your minimum criteria. If you can predict the situations that might occur and how you will handle them, you will be better set up for success. When I am on a night out and everyone is having shots then I will tell everyone I don’t drink shots. If someone buys me one, I will offer it to someone else or politely refuse it. I will remind myself how bad it makes me feel the following day. When my friends tell my I am crazy and to loosen up, relax, enjoy myself and forget about all the rules I have set for myself, then explain to them how I feel much happier when I am not drinking. When I go for dinner and there is a bottle of wine to share, then I will have maximum two small glasses and remember to savour it and drink it slowly. When I want to go on a big night out, then I will go and remember that I am allowing myself once a month to do this, so I need to choose my occasion wisely. When I have 3 events in one week, then I will decide which one I am not going to drink at in order to reach my target. If I find myself not meeting the minimum criteria I have laid out, I will review what has prevented me from being successful and make a plan to address this. You might be reading this, thinking that it sounds excessive, but I have got in the habit of drinking more than I want to and I need to put a system in place to break that habit so that I can achieve what I listed above, which is what is important to me. My intention is to change my habits and embed new ones so that I don’t need any rules to follow, it just becomes second nature. Measuring your progress can put the facts in front of you of how you are baring against the goal and help you stick to your targets. 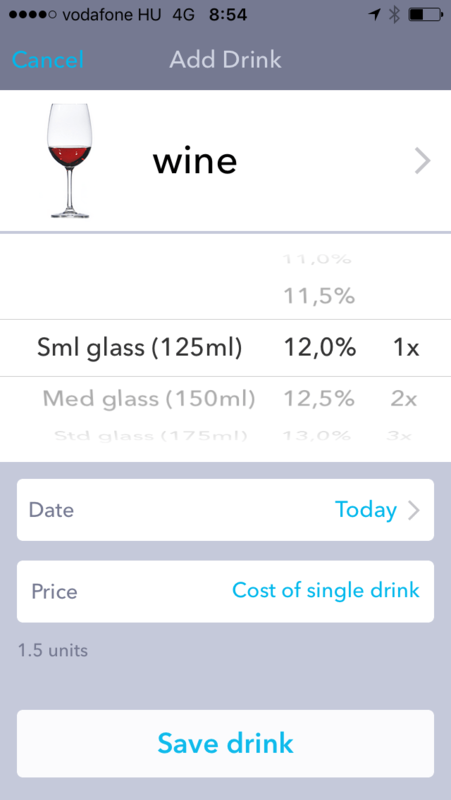 I am going to use an app to measure the amount of alcohol I drink, to identify whether I am sticking to the minimum criteria I have defined. Having a really clear way to measure progress can help to keep you on track. 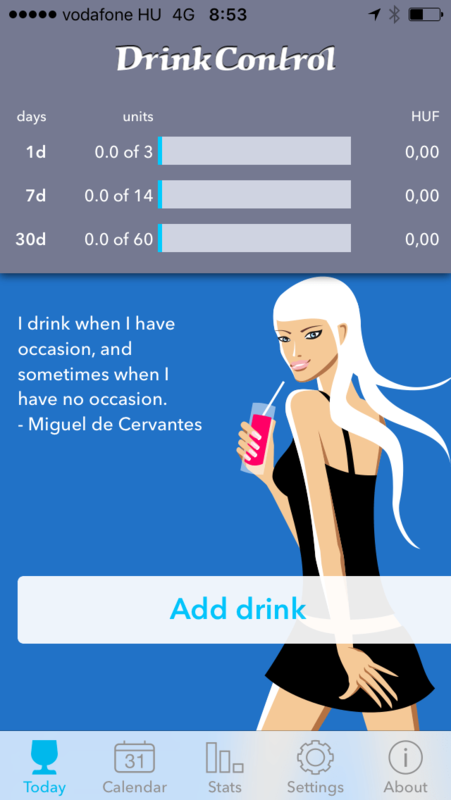 I have downloaded an app called Drink Control. 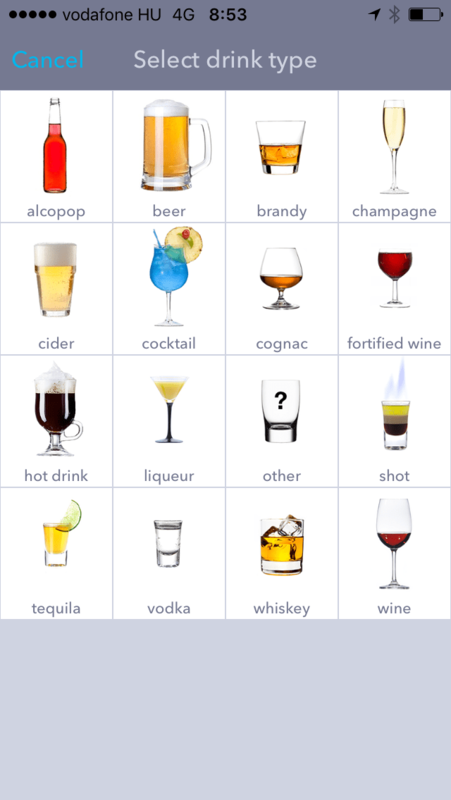 It is free and allows you to track what alcoholic drinks you are consuming on a daily basis. This will clearly highlight when I am missing the minimum criteria I have set for myself. I will also be using CoachMe to check in for each dry day I have, as that gives me great satisfaction to see my progress. I will be reviewing my goal and adjusting it if required. I have set the minimum standards as something I hope to be able to achieve and I will review as I go whether this is realistic or whether I want to modify them at all. Modifying them could be about providing more flexibility, or finding they are not enough of a challenge and tightening them up a bit. If you are working on a New Year Resolution try following the same 5 step process, to increases your chances of being successful. Don’t give up if you have had a step backwards. Just dust yourself down and start again, applying this method. Let me know how you get on in the comments below. This is great Mel, I love your blog, you always write about such pertinent subjects to me. I am going to folllow your 5 step process for food and alcohol!